Mr. Troy D. Orwan is currently Vice President for Electromagnetic Spectrum (EMS) Operations Policy and Programs at The Corvus Group, LLC. He is responsible for leading the organization’s spectrum management (SM), electronic warfare (EW), EMS operations (EMSO) and EMS environmental effects (E3) efforts, providing government agencies and commercial industry with focused consulting, strategic planning and technical analysis and assessment services. Mr. Orwan personally offers tactical, operational and strategic EMS operations experience, expertise and analysis in the advancement of international, national, federal, commercial, departmental and organizational strategies, policies, programs and outreach initiatives. 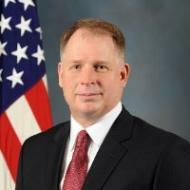 Before coming to Corvus, Mr Orwan served as a Senior Policy Analyst on the Office of the Secretary of Defense’s staff where he provided detailed operational analysis for EMSO, EW, communications, command and control and navigation and timing policy and programs; non-intelligence space systems; information assurance; and emerging EMS and cyber technologies. He was directly responsible for the development and implementation of DoD strategic plans and policy to enable assured access to and unimpeded use of the EMS through efficient and effective EMSO; the development of EMS battle management (EMBM) tools/capabilities; the establishment and presentation of DoD positions on SM, E3 programs and EW and EMSO integration to national and international regulatory forums; and the education of federal and non-federal agencies on DoD EMS/EMSO requirements to fully support national security commitments. Mr. Orwan has 24 years of commissioned service in the US Air Force. A master navigator and combat parachutist with more than 2,500 hours in the EF-111A and F-15E fighter aircraft, he has led combat operations throughout Bosnia-Herzegovina, Iraq and Afghanistan. His personal decorations include the Bronze Star and Air Medal with three oakleaf clusters. Mr. Orwan is an Outstanding Graduate of the Air War College and holds Bachelor degrees in Chemistry and Mathematics from Coe College, and a Master’s degree in Statistics from Colorado State University. He currently lives with his wife and daughter in Fairfax Station, VA.